Our next study will cover John 1.1-18, so go ahead print out the journal pages today. Also, if you missed it earlier, here is the journal pages for Luke 1.1-4. Here are my notes for the reading. Share what you learned by commenting below. Who are the main people? Luke – Though his name is not mentioned as the author within the pages of the third gospel, Luke has been recognized as the writer of both Luke and Acts since the earliest days of the church. Scripture reveals little of his personal background; nevertheless, what we do know paints a picture of a faithful servant of the Lord and His church. We do know he was a loyal and tireless companion of the apostle Paul (note the “we” passages in Acts 16:10-17; 20:5-21; 27:1-28:16) who affectionately called him my “fellow laborer” (Philemon 24). Furthermore, his medical talents coupled with a servant’s heart earned him the description, “the beloved physician” (Colossians 4:14). Additionally, he is often considered to be the anonymous brother, “who [was] famous among all the churches for his preaching of the gospel” (2 Corinthians 8:18). Despite the fact that he was not a witness to Jesus’ ministry and resurrection, Luke assures his reader(s) that his record is faithful and true. 1) That he was a Roman governmental official since Luke addresses him “most excellent Theophilus.” The same title he uses for the Roman governors, Felix (cf. Acts 23:26; 24:3) and Festus (cf. Acts 26:25). It should be pointed out the honorific title; “most excellent” is not used in conjunction with Theophilus’ name in Luke’s introduction to Acts. 2) Or that he was wealthy patron who perhaps had once owned Luke as a slave, but now helped pay the expenses of writing, copying, and distributing Luke and Acts. 3) Still others believe Theophilus is not a proper name, but a pseudonym for a community of Christians. This idea is based on the meaning of the name Theophilus, “lover of God.” However, the title “most excellent” seems to dispel this view. Whoever he was, Theophilus was man who believed that Jesus Christ was God’s son, and Luke’s gospel served to strengthen that faith. “eyewitnesses and ministers of the word” – “Eyewitnesses” and “ministers of the word” are parallel descriptions of the same group of people; namely, those who had handed down the gospel of Jesus Christ. At its core, this group would include the twelve apostles but also those who went about preaching the word such as Philip (ref. Acts 8:4-8, 26-40) and many others. These men, and women, were witnesses to the resurrected Jesus and faithful servants in their proclamation of His glorious gospel. 1) Others had sought to compile gospel narratives of the things believers had been taught by eyewitness and ministers of the word. 3) Since he had “traced the course of all things accurately from the first,” Theophilus could have certainty concerning the things he had been taught about Christ. When/Where do these events take place? 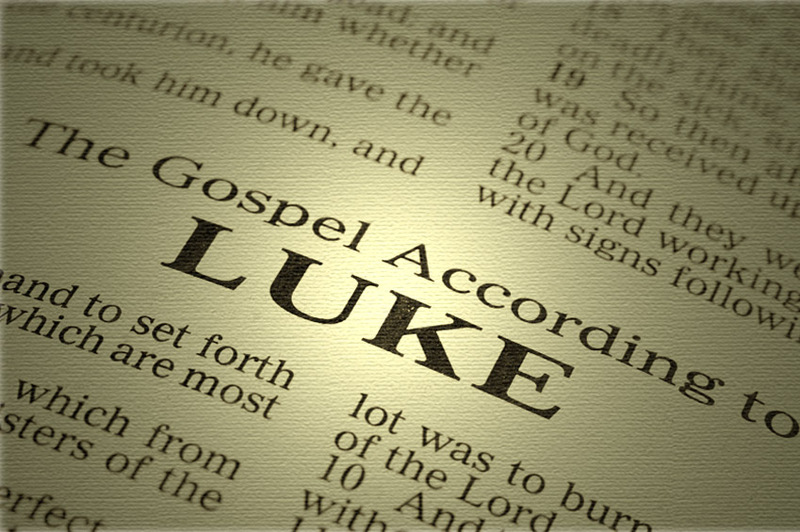 Luke does not mention when and/or where he composed his gospel. However, tradition holds that he wrote his narrative ca. 60-62 A.D. from Rome while Paul was imprisoned there. Why do these events occur? The overarching goal of Luke’s gospel is “That you might have certainty concerning the things you have been taught.” This perfectly aligns with the apostle John’s aim for his gospel as stated in John 20:30, 31: “Now Jesus did many other signs in the presence of the disciples, which are not written in this book; but these are written so that you may believe that Jesus is the Christ, the Son of God, and that by believing you may have life in his name.” Together, these verses supply us with our purpose for studying The Life and Teachings of Jesus. What is one truth you learned from today’s reading? God doesn’t say, “Close your eyes and believe,” but rather, He invites the seeker to investigate the truthfulness of the facts for themselves. He encourages us to thoroughly inspect the claims of His son Jesus with the simple invitation, “Come and see” (John 1:46; 4:29), because our conclusions about Jesus is a life-and-death matter. How does this truth apply to your life? As we begin this study through the life of Jesus know this, the gospel of Jesus Christ is true. We can read the accounts of His life with confidence, believing them to be factual, reliable, and faith-building. As we delve into the life of Jesus remember, “So faith comes from hearing, and hearing through the word of Christ” (Romans 10:17). Write a short prayer, asking God to help you respond to His truth. Lord, as we read the gospel message of your Son, strengthen our faith by filling our hearts with the assurance that Jesus is Lord and Savior of our souls. And as we encounter the Him through the word, gives us humble hearts that will yield to His hands as He reshapes our hearts through His life and teachings; so that in time, we will become more like Him. Amen. So, what did you get out of this week’s study? You can share your notes using the comments section. Thank you for reading and keep sharing the good news of the Lord. Our relationship with the Savior is like a journey a walk where, with each step, each mile, each day’s trek, we grow closer to Him by learning more of the man we call Lord. Would you like to know more about our Lord and Savior Jesus? If so, then I invite you to join me on a journey through The Life and Teachings of Jesus. Using an expanded form of the SOAP bible study method (Scripture, Observation, Application and Prayer) we’ll immerse ourselves in God’s word, namely the gospels of Matthew, Mark, Luke and John. Through a combination of these four books we’ll chronologically trace the footsteps of Jesus’ life from His preexistence with the Father, through His ministry in Galilee, to His submission to the crucifixion and His ultimate triumph in the resurrection. It is my hope that as we journey together through The Life and Teachings of Jesus, we will find, as did the apostle Paul, that “everything is loss because of the surpassing worth of knowing Christ Jesus my Lord” (Philippians 3:8). So how’s this going to work? Well glad you asked. It’s going to be simple. Each Wednesday, I’ll do two things: First, I’ll post a new SOAP study sheet which you can download/print to journal your notes on. The second, we’ll share our notes from the previous week’s lesson. My notes will be in the blog post and you can share yours in the comments section. This week’s lesson covers Luke 1.1-4 which you can download/print now. Then, next Wednesday (April 8th), we’ll share our notes and you can then print off our study sheet for John 1:1-18. Simple enough. I’m looking forward to growing closer to Jesus with you. Until next time, keep sharing the good news of the Lord. In these tough economic times panhandling is a common scene. Visit any sizable city and it seems there is someone on every corner asking for money. No doubt, a few desperately need help; nevertheless the majority of panhandlers are taking advantage of the generosity of others. It is enough to make you numb to the problem of poverty and thus help no one. Worse yet, we could begin to think of ourselves as superior people because we are not like the poor person holding the sign. 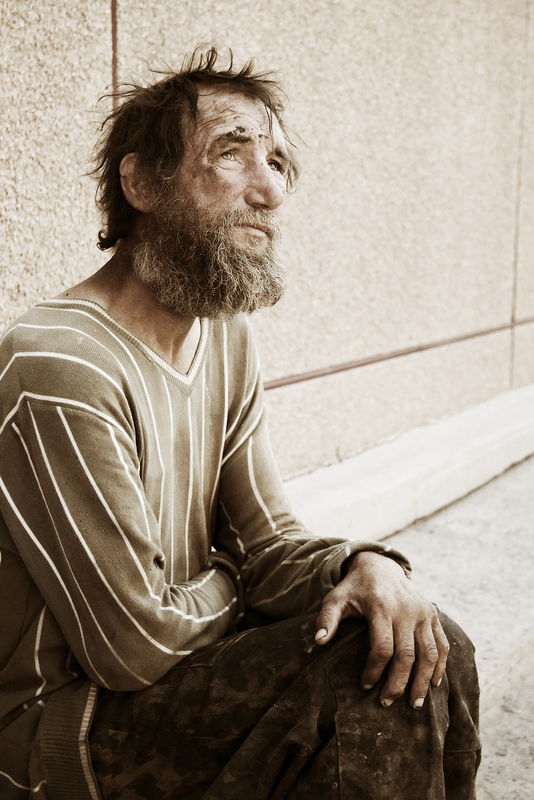 Our Lord told a parable of a rich man who whose heart was numb to the plight of a panhandler. In this passage Jesus challenged the conventional thinking of His day regarding riches and poverty and in the process taught His disciples the importance of using money to aid the poor. Our parable[i] is set within the context of our Lords’ teaching on the use of riches and the Pharisees’ ridiculing of His instructions. Following the Lost Parables (Luke 15:1-32), Luke recorded the parable of the Unjust Steward and its accompanying principles governing the way disciples viewed and used material possessions (16:1-13). In summary, Jesus taught that we love and serve God, and use money in this life to make friends in eternity. However, “the Pharisees, who were lovers of money, heard all these things and they ridiculed Him” (16:14). The underlying problem of the Pharisaical system was that they were seeking approval from “men” rather than God (16:15). Their standard of righteousness was based on outward appearances others could evaluate; thus, in their hearts they loved money more than God (16:15a; cf. Luke 20:47). Therefore, in vv. 16-18, our Lord accused those who prided themselves as keepers of the law with being its corrupters. They had created loopholes in the Law which enabled them to fulfill their sinful desires, cases in point: marriage, divorce, and what constituted adultery (16:18). The Pharisees had corrupted God’s law to the point that their righteous-cloaked greed was exalted among men; nevertheless it was “an abomination in the sight of God” (See Jesus’ rebuke of the practice called Corban; Mark 7:10-13). Our Lord’s swift two-point rebuke set the stage for the parable of the Rich Man and Lazarus. The Lord begins with a vivid picture of “a certain rich man” (16:19) who lived in lavish opulence. He wore luxurious “purple” robes; even his undergarments were made of “fine linen” and his life consisted of “feast[ing] sumptuously every day” on the finest of foods. In the mind of the Pharisees this man’s riches proved he was righteousness (cf. Deuteronomy 28:1-14; Psalm 37:25; Proverbs 13:22). So entrenched was this belief, that when Jesus taught on the difficulty “a rich person” would have entering the kingdom of God, the astonished disciples asked, “Then who can be saved?” (Luke 18:25-27). Outside the rich man’s gate was “a poor man named Lazarus” whose body was “covered with sores” (16:20) and who lived daily on the brink of starvation. From where he laid, he could have smelled the delicious foods and heard the revelry from the daily feast. His only desire was “to be fed with” the crumbs that “fell from the rich man’s table,” and yet the rich man and his guests repeatedly ignored him (16:21a). “But instead the dogs would come and lick his sores” (16:21b HCSB), providing Lazarus his only earthly relief[ii]. In the eyes of the Pharisees, and popular culture, Lazarus was getting what he deserved because sickness and poverty were viewed as divine judgments for sinfulness (cf. Deuteronomy 28:15-68; John 9:2, 34). In light of his plight, Lazarus’ name seemed a mockery; “He whom God helps” appeared to be he whom God has abandoned. In the process of time, both the rich man and Lazarus died. In a Pharisaical frame of mind, the eternal destinies of these two men were fixed. The rich man would carry on his festive lifestyle in the presence of Abraham, while Lazarus’ torturous sufferings would continue in Hades. However, Jesus completely reversed the conventional expectations, thus dramatically illustrating His words, “You are those who justify yourselves before men, but God knows your hearts. For what is exalted among men is an abomination in the sight of God” (16:15). “The poor man died and was carried away by the angels to Abraham’s side” (16:22a). Death brought an end to Lazarus’ suffering. Too poor for a funeral, his hollow body of skin and bones would have been dumped in a potter’s field, quickly forgotten by all who knew him. Yet, unseen to human eyes, “He whom God helps” was quickly escorted by the angels to Abraham’s side. The phrase, “Abraham’s side” (ESV) or “bosom” (KJV) denotes closeness and honor in a meal setting (ref. John 13:25; 21:20; cf. Matthew 8:10-12; Luke 13:28-30). In life, Lazarus was a sick, starving beggar who lived outside the rich man’s gate; in eternity he was on the inside as an honored guest at the table of Abraham. The words of the Psalmist sum up his life: “This poor man cried, and the Lord heard him and saved him out of all his troubles” (Psalm 34:6). “The rich man also died and was buried” (16:22b). His life of ease, comfort and pleasure suddenly ended. His riches would have afforded him a grand funeral, yet from a divine perspective it was not worth mentioning. On the other side of the grave, the rich man found himself in the hellish torment of Hades. From there “he lifted up his eyes and saw Abraham far off and Lazarus at his side” (16:23). 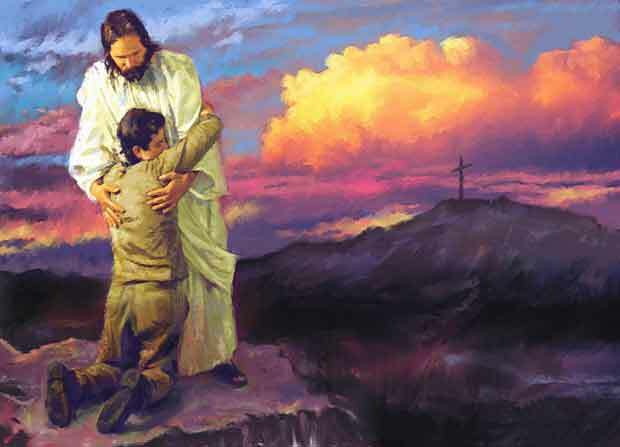 In life he had not used his wealth to aid the poor, thus he had no friends to receive him in the eternal dwelling (16:9). He had callously hidden his eyes to the plight of poor Lazarus; consequently, he would suffer eternal curses (ref. Proverbs 28:27). From the flames of torment the rich man “called out, ‘Father Abraham, have mercy on me” (16:24a). The unsympathetic rich man was now the beggar pleading for mercy and, in a way, seeking to become “He whom God helps.” He appealed to Abraham based on their kinship (16:24, 27, 30), however, his relationship to the patriarch had not guaranteed his salvation, nor would it ensure him minimal comforts (cf. John 8:31ff). He entreated Abraham to send “Lazarus to dip the end of his finger in water and cool my tongue” pleading, “for I am in anguish in this flame” (16:24). Despite their relationship and the rich man’s suffering, he received no comfort. “Child, remember that you in your lifetime received your good things, and Lazarus in like manner bad things; but now he is comforted here, and you are in anguish. And besides all of this,” Abraham added, “between us and you a great chasm has been fixed, in order that those who would pass from here to you may not be able, and none may cross from there to us” (16:25-26). Just as Lazarus was refused help from the rich man’s table, the rich man was refused help from Abraham’s table. Rebuffed, the rich man pleaded, “Then I beg you, father, send him to my father’s house – for I have five brothers – so that he may warn them, lest they also come into this place of torment” (16:27-28). Since his eternal state was fixed, perhaps he thought he could change the course of his brothers’ lives. In a figurative sense, the rich man’s brothers were the Pharisees who were listening to this parable. Presumably, the five brothers lived lives of luxury just as he had and yet he realized that one can gain the whole world but lose his own soul (ref. Luke 9:25). Again, Abraham was not persuaded to grant his request, “They have Moses and the Prophets,” he said, “let them hear them” (16:29). To “hear” means to listen and obey. The rich man’s brothers, and the Pharisees they represented, had ample information to reform their lives. Countless passages in the Old Testament called for Jews to compassionately use their wealth to alleviate the plight of the poor. Deuteronomy 15:11 summarizes those instructions, “For there will never cease to be poor in the land. Therefore I command you, ‘You shall open wide your hand to your brother, to the needy and to the poor, in your land.’” Also, the prophet Amos bluntly described the judgment of God against the rich of Israel who, at the expense of the impoverished, lived indulgent lives (ref. Amos 4:1-3; et. al). Furthermore, even the Proverbs spoke of the blessedness of aiding the poverty-stricken (ref. 19:17; 22:9; 28:27; 29:7). Though the Pharisees had ignored God’s word regarding the use of their riches to help the poor, these instructions still stood and they would ultimately be judged by them (16:15-18). Amazingly, the rich man sought to correct Abraham’s assessment of his brothers’ situation. He knew too well that they would require something more than scripture. “No, father Abraham, but if someone goes to them from the dead, they will repent” (16:30). Ironically, no one listened to Lazarus’ pleas for help in life, but the rich man was sure they would heed him in death. Abraham replied, “If they do not hear Moses and the Prophets, neither will they be convinced if someone should rise from the dead” (16:31). Abraham pointed out the brothers’ refusal to repent was the result of hard hearts toward God and His word, which no supernatural event would cure. With these words, our Lord ended His parable. I often picture Jesus walking away at this point, leaving the Pharisees alone to fume over what He had said, shocked by the dramatic and unexpected turn of events. Not only had this seemingly righteous man been sentenced to a life of eternal torment, but his own patriarch refused his request for mercy. In dramatic fashion, our Lord drove home the consequences of seeking the approval of men and ignoring divine teachings, especially on the proper use of wealth in aiding the poor. A shorten form of this article appears in the August issue of Biblical Insights. [i] Some debate surrounds the question of whether or not this is a parable or a factual story. Generally, those who believe this passage relates the events of a true-life story base their argument on two facts. First, they say, since this story is not introduced as a parable is should be views as a factual story. However, three other stories in Luke’s gospel are not introduced as parables but are recognized as such: The Good Samaritan (10:30-37); The Great Banquet (14:12-24); and The Unjust Steward (16:1-8) and several others. Therefore, just because a parable lacks a formal introduction that alone does not disqualify it as being a parable. The second reason put forth for why this is not a parable is that the poor man has a name, Lazarus. This fact is seen as significant since no other character in our Lord’s parables is provided a proper name. However, this argument fails to take into account the meaning Lazarus’ name and how it fits into the context of the parable itself, something that we will do in our study. But, someone might ask, “Why does it matter whether this is a parable or a factual story?” They would be right; ultimately it does not matter so long as the central message of this story is kept in context. Nevertheless, it has been my experience that those who are adamant about calling this a factual story do so in order to discuss, as they call it, the intermediate state of the dead and tragically ignore the powerful message our Lord taught about riches and helping the poor. Throughout this study I will refer to this story as a parable. [ii] Commenting on v. 21, Robert’s Word Pictures states: “Moreover, even the dogs” (alla kai hoi kunes). For alla kai see also Luke 12:7; 24:22. Alla can mean either “moreover,” though it often means “but.” Here it depends on how one construes Luke’s meaning. Additionally, in his book, Jesus Through Middle Eastern Eyes (Downers Grove, IVP), pp. 385-386, Kenneth Bailey provides three reasons why the licking of the dogs should be viewed as a compassionate , especially in contrast to the Rich Man’s uncompassionate actions. First, he states alla should be translated as “but instead” thus forming a contrast with the rich man. He continues to state that in the Greek this contrast is clearly seen and important to the story. Second, he cites a Harvard study to show that dog saliva contains helpful antibodies that facilitate healing. Third, somehow the ancients knew this and a major healing temple was present in the ancient city of Ashkelon. There archaeologist have unearthed over 1,300 dog skeletons used in the temple. This would also explain the prohibition of Deuteronomy 23:18 which forbade the worshiper from bringing “the wages of a dog” into the temple treasury. In the ancient world dogs were not kept as pets but where used for idolatrous healings. Therefore, since, as RWP points out, the language of the verse does not force one to accept the dog’s licking of Lazarus sores increased his pain and suffering, I’m inclined to accept Bailey’s explanation. In a time ever increasing political deadlock, increasing governmental encroachment and arrogant politicians here is valuable wisdom from heaven. The noblest of people will consider it and adjust their lives accordingly. 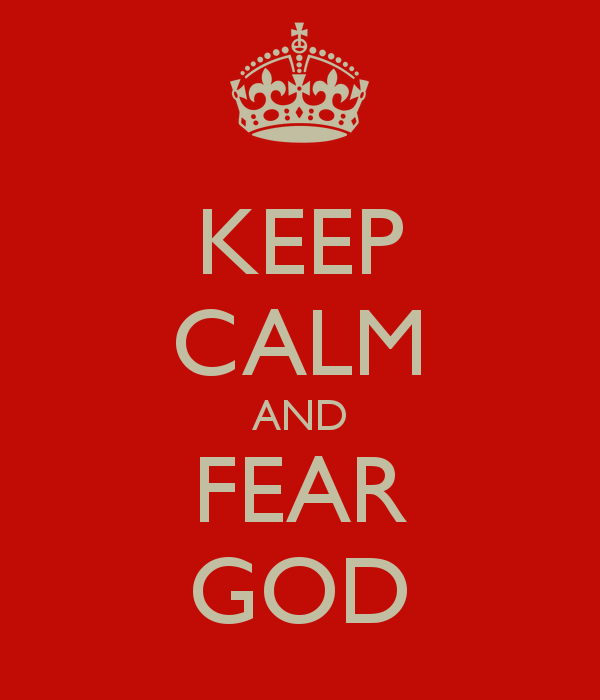 As we close out our look at the Thirty Sayings of the Wiseman we end with the often repeated admonishment, “fear God” (cf. Deuteronomy 6:2; Proverbs 1:7; 23:17; Ecclesiastes 12:13). However, in today’s saying, the Wiseman joins our reverence for the Lord with honor for “the king.” The first admonition seems so easy for believers, the second not so much. Nevertheless, as the apostles Paul and Peter so clearly explain, in Romans 13:1-7 and 1 Peter 2:13-17, governing authorities are God’s earthly representatives, instituted to punish evil. Therefore, the “fear of the Lord” demands fear, or reverence, of the king and the government he represents. Thus, wisdom states that we do not “join with those” who promote disdain toward, not only God, but also our leaders and government since this sort of person will suffer “disaster” and “ruin” since they resist not only man, but ultimately God (cf. Romans 13:2). So today friends, by faith, “Honor everyone. Love the brotherhood. Fear God. Honor the emperor” (1 Peter 2:17). This is the last post in the Thirty Sayings of the Wiseman series. Does it ever make you fuming mad that the lives of sinners seem so easy-going and fun as compared to your morally austere existence? Have you ever wished your life could be as carefree as theirs? If you answered yes to either of these questions, then welcome to the Christian race. The Wiseman warns us against the common, and especially alluring, temptation of envying sinners. So powerful is this enticement, he warns against it three other times (cf. 3:31; 23:17-18; 24:1; see also Sayings #14 and #19). Twice David and Aspah muse about the topic (Psalms 37, 73). And bringing it closer to home, in the old standard Farther Along, we lyrically wonder ourselves why the faithful have it so hard while the wicked live in such prosperous ease[ii]. Burning with envy over the evildoer’s success is foolishness, since God has ordained that their prosperity and ease is but temporary. Sinners have no future seeing as, “They will soon fade like the grass and wither like the green herb” (Psalm 37:1). So today, allow God to deal with the wicked and let’s, “Delight [ourselves] in the Lord and He will give [us] the desires of [our] hearts” (37:4). [i] Nearly all English translations begin verse 19 with the word “fret.” So, for example, the ESV says, “Fret not…” When I think about the word “fret” I think anxiety or worry. However, according to Brown-Driver-Briggs the Hebrew here means to “to be hot, furious, burn, become angry, be kindled.” Therefore, the Wiseman is not saying don’t worry about the wicked but don’t become angry over the wicked and their prosperous, and/or carefree lifestyle. (The life of the wicked must seem good or fun in order to be an object of envy.) The Holman Christian Standard Bible translates this verse, “Don’t be agitated…” I have taken the liberty to translate my own version of this verse in an attempt to capture what I believe the Wiseman intended to say. [ii] The first verse says, “Tempted and tried we’re oft made to wonder, Why it should be thus all the day long, While there are others living about us, Never molested tho’ in the wrong.” The chorus states that while our lot in life may seem unfair now, “Farther along we’ll know all about it, Farther along we’ll understand why.” So then we are admonished to, “Cheer up, my brother, live in the sunshine, We’ll understand it all by and by.” Another verse adds, “Toils of the road will then seem as nothing, As we sweep thro’ the beautiful gate.” This hymn is an old standard in many churches in the South. Do you ever hope bad things will happen to your enemies? Or, have you ever felt a cathartic satisfaction when they “Get what they deserved”? If you answered yes to either of the questions then know this, God watches how you treat your enemies (even in your heart), especially when they fall into calamity. 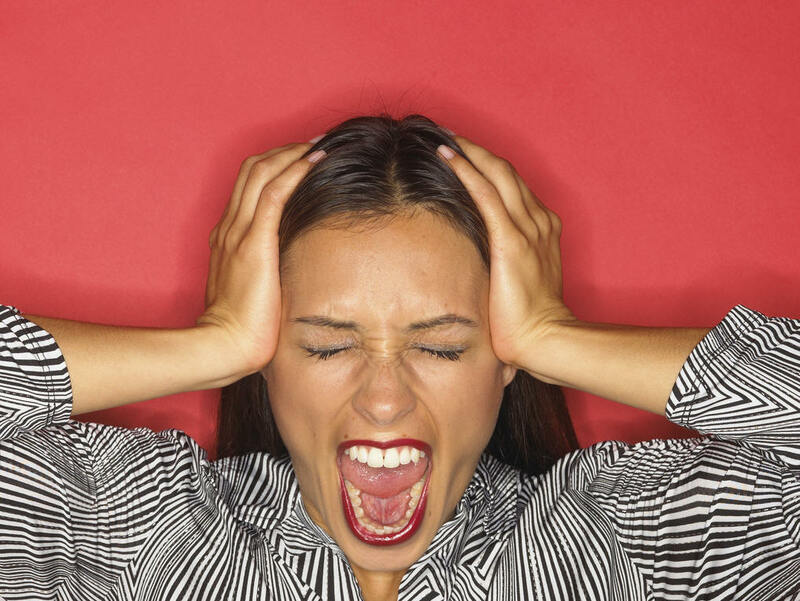 The kindness God requires us to show those who hate us extends to all facets of life (cf. 25:21-22; Luke 27-36). Following the promise in Saying #27 that the wicked will fall, the Wiseman now counsels us to not gloat over their punishment. The Lord finds such jubilant rejoicing so repulsive that he would rather turn away from his retribution than to look at your abhorrent gloating. Remember, in God’s economy, reveling over the disaster visited on the immoral is just as wicked as the evil they inflict on the righteous. Therefore the scriptures say, “He who is glad at calamity will not go unpunished” (17:5). I realize this is a hard test of character; our natural inclination is to hate our enemies and celebrate their demise but let’s embrace the Wiseman’s challenge. So, rather than nursing malignant revenge, let’s cultivate lives that reflect the heart of God who takes no pleasure in the disasters that befall the wicked (cf. Ezekiel 33:11). Rather, let us resolve to do good to them always, to pray for them continually and to overcome their evil with good (Romans 12:18-21). In today’s saying, the Wiseman instructs us to not imitate the “wicked” that viciously conspire against the righteous. His prohibition rest on the fact that, the wicked will fall in their day of calamity but the righteous will be saved time and time again. Therefore, Christian brother and sister, is there any reason for you to fret or worry about your circumstances? Though you may fall seven times to the blows of the wicked, if you’re walking uprightly, the blessed Lord will hold your hand and deliver you from all your afflictions and troubles (ref. Psalm 34:19; 37:23-24; 71:20). Remember friends, “If God is for us, who can be against us?” (Romans 8:31). So take heart put your trust in the God of your salvation and He will lift you up in His time. “To our God and Father be glory forever and ever. Amen” (Philippians 4:20).